Maldives Marketing and PR Corporation (MPRC) is known to have revealed on Sunday that bids that have been presented for the integrated guesthouse development project in Laamu Atoll Thumburi and Hulhiyandhoo will be starting this Thursday. It is made aware that a total of 45 companies have submitted their bids for the 20 pieces of land that are being developed on the island, where a whole new concept will be introduced set for a world class brand. From the two islands, 5000 acres of each; 15 land slots and 10,000 acres sized 10 land slots have been made available for lease. Marketing & Public Relations Corporation (MPRC) revealed that the companies that win the bids within one and a half month of bidding will be made to sign the agreements for the land slots. The government is believed to have handed over all work of developing sewerage and a waste management system to Maldives Water and Sewerage Company (MWSC) beforehand to these bids. MWSC is believe to have revealed that they will be able to complete these projects within a month. 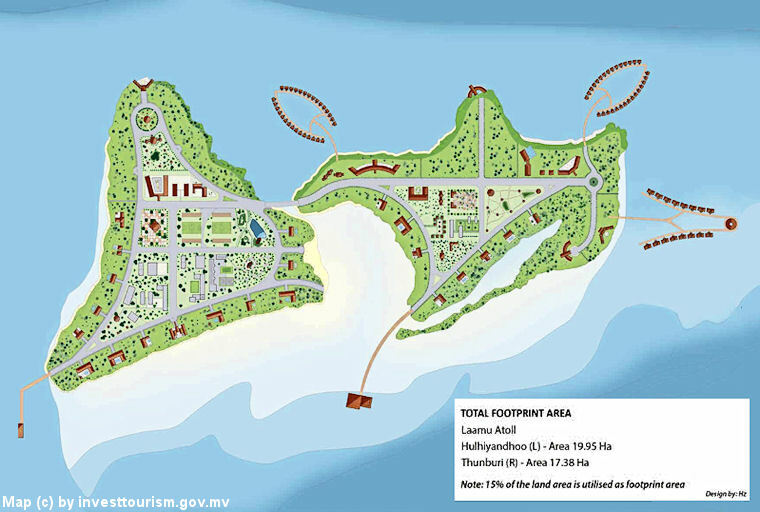 MPRC is known to have further revealed that bidding for Spas, Water Parks and restaurants for the guesthouse islands will be opened very soon as well.